Professional Roulette Prediction, by Laurance Scott was originally written in 1990, and then revised and re-released in 2005. 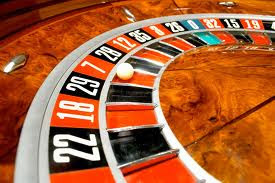 The book presents a method for beating roulette through visual prediction. Scott presents a method for timing the speed of the ball, and the speed of the rotor, and using the relation of those two speeds you can predict where the rotor will be when the ball leaves the track. There is then one more variable to deal with, how much the ball bounces once it hits the track. When Scott first wrote this book, wheels with deep pockets were common. Unfortunately these type wheels are now rare. They started being replaced by "low profile" wheels like this. And then it got really bad. Many modern wheels look like this. What this means is that predicting how much the ball bounces around when it hits the numbers is much harder than it used to be. Does it work? Yes. I am a 100% believer that visual roulette prediction is possible at least on the old deep pocket wheels. But let's talk about the negatives. This is very difficult to learn. In the book Scott estimates 40 hours. I think that estimate is way low. I believe his estimate was with him teaching his son who had the benefit of having his father there to teach him. 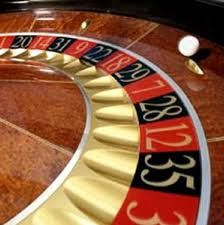 You probably need to buy a roulette wheel to really practice. Cost, $3,000 - $4,000. Good wheels are harder, and harder to find. The dealer can take away your edge very easily. For this method to work you need to bet late into the spin. Now this is common for roulette players but once you start winning many dealers will just start calling "no more bets" earlier, and earlier. When I wrote about "dice control" I said that even if you could learn to do it I didn't think you could make any money at it. It is so obvious what you are trying to do that the casino will shut it down right away. This is the opposite. I think if you can learn to do this there is a lot of money to be made, but probably not in the US. In other countries roulette is much more popular, late betting is common, and they have conditions that help, like being able to make "neighbors bets." Bottom line - this is no get rich quick scheme. It is very difficult to learn, much more difficult than counting cards. But it is a legitimate advantage play, so if you are interested in roulette, and are willing to shell out $90 for volume one then check it out. His entire package costs about $650 and includes some practice DVDs, but if you are really interested I would start with just book 1 so you get an idea of just how much work is going to be involved. Here is a link to the book. Professional Roulette Prediction.